Photo booth for a birthday party in Houston, TX. Your interested in a photo booth for a birthday party in Houston, TX.? Indecently, photo booths seem to be a preferred add-0n for birthday parties all over the country and what better way to get the guests involved as well as keeping great memories for the guest of honor. Photo booths seem to bring out the fun side in everyone. What should you expect when looking for a photo booth for a birthday party in Houston, TX.? You should expect a custom template for the photos that reflect the guest of honors personality. You should expect an attendant that is friendly and helpful and for youth events, background checked. And what about the photo booth itself? Well, finding the perfect fit is the fun part. Photo booths can range from an iPad on a stand to a large touchscreen mirror. Each type of photo booth will be priced differently. Do your homework and pick a photo booth that you feel will best express your guest of honors personality. Birthday parties are the most enjoyable of events to throw. Especially when they are a complete surprise to the guest of honor. Birthday parties should however be coordinated by someone who knows the guest of honor best. 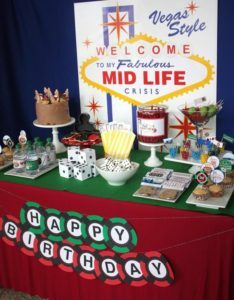 Matching and themed props, table cloths as well as event dress attire can add to a wonderfully planned birthday party. There are many photo booth for birthday party service providers in Houston, TX. Check the contact us link above. Enter your event date and our system will show you our packages. If we are out of your budget, give us a call or contact us through email. We may have a package that will work within your budget. ← Need A Photo Booth For A Wedding In Houston TX?